To me Being Radical means living a life that is full of passion and purpose with no excuses and no regrests while carrying the energy of kindness regardless. Feeling awake and alive through inspiring and empowering another and knowing that at the end of the day I didn't forget the simple things that really matter. Liz Edlich brings an extensive career in financial management, capital sourcing, product development, production and market strategy to her position at Radical Skincare. Edlich's cultivation of relationships with top investment managers and funds led her to become Managing Director of Heritage Asset Management, where she took the firm from $68 million to $500 million in assets under management during a three-year period before advising and brokering the sale of Heritage Asset Management to a third party. As a private investment banker and strategic business consultant, she was involved in numerous public and private business transactions. She has spent the last 15 years of her career in the Direct Marketing and skincare business at her company One World Live, developing over 100 products for celebrities and influencers. While at One World, Edlich focused on corporate strategy while managing product and company acquisitions, celebrity relations, commercial production and closely collaborating on product development and packaging. Edlich's career has also been defined by her commitment to giving back. Throughout her life, Edlich has volunteered her time and resources to advance important causes. From working with burn victims and developmentally disabled youths to children with facial deformities with Operation Smile in LA and in Africa; seeing her father through Multiple Sclerosis Rehab to working with the American Heart Association, Edlich has always been dedicated to making a difference in peoples' lives. To me Radical means living a life with intention, being kind and compassionate to myself and others, and being completely present in the moment with those around me. Taking a stand for something or someone to be that difference however big or small means I am on the right path for living a Radical life. Rachel Edlich, President & Co-Founder of One World Live, Inc. and Radical Skincare, has been creating effective, results-driven and revenue-generating Direct Response Marketing programs for over 15 years, generating over 150 million in sales. Edlich is a strategic leader skilled in creating long-term business relationships, problem-solving and managing with a bottom-line focus in all channels of distribution. Focused on ROI, marketing, management and operations, Edlich oversees all media purchasing, merchandising selection, QVC management (marketing, management, and product development), catalog production and sales, product development, product design/brand positioning, infomercial/commercial production,radio, front end acquisition channels, back-end/ continuity program sales, prestige retail and mass retail distribution. Knowing the DRTV industry's need for quality product development know-how, effective continuity management, revenue enhancement and lucrative database marketing techniques, Edlich has taken a multi-dimensional approach to maximizing product and campaign revenues. She has a strong focus on the customer experience utilizing CRM and loyalty programs. Throughout her life, Edlich has volunteered her time and resources for important causes. Right out of college, she was the Director of the Virginia Beach Boys and Girls club, teaching children how to take on challenges in life and celebrate themselves daily. Upon arriving in Los Angeles, she volunteered her time to coach the Pepperdine University lacrosse team while also volunteering to coordinate a mission to Africa for Operation Smile. I always have a radical attitude, doing what I have decided, when and where I have decided, choosing my way according to my inspiration and attraction. 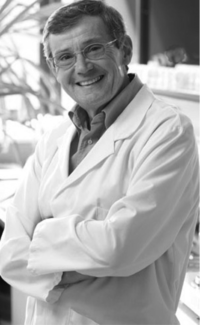 A passsionate expert and a passionate man, Lionel De Benetti left the Clarins Group in March 2012 after 36 years of ras the head of Research and Development. 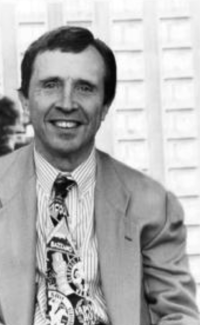 From the start, de Benetti's unsurpassed expertise in skin physiology and energy was apparent, and he put his degree in Advanced Chemistry Studies to use helping Clarins become a pioneer in skincare. Responsible for countless breakthrough scientific discoveries, innovative formulations and unparalleled products, the Research and Development team supervises product formulation and production at an exclusive laboratory and high-tech industrial sites throughout France. Working closely with his multi-disciplinary teams of chemists, biologists and dermatologists, de Benetti applies his keen insight into the plant world to selecting and harnessing the most premium ingredients and raw materials for high-performing products. As committed to protecting the environment as he is to delivering eco-conscious, responsible beauty products, Lionel established a rigorous ingredient policy that favors the use of vegetal raw materials. Jim Wilmott has over 36 years of experience in the creative design, development and manufacture of new products for the health and personal care industry. Before starting Leading Edge Innovations in 2008, Wilmott has held past positions with the Lever Brothers Company, Bristol- Myers Products, Avon Products, and Dow Brands, L.P.
Wilmott was Vice President of Product Development for Mary Kay Holding Corporation, where he managed the new product and process development programs. As Vice President of Consumer Products for Collaborative Laboratories, Wilmott was responsible for both technical and business development. In this role, he developed an innovative new formulation alternative that was the basis of 10 patent applications. Wilmott also served as the Executive Director of Global Skin Care for Chanel, and Sr. Vice President of R&D and Chief Technical Officer for the Outsourcing Services Group, the largest contract manufacturer in North America. 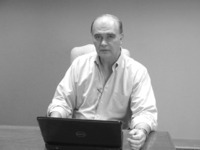 Wilmott has written many technical and managerial articles for trade publications. He has authored over 25 patent applications and has received 11 patents for the introduction of innovative technology into the personal care market. Wilmott earned a Bachelors degree in Biology and Chemistry from Lehigh University, received a Masters degree in Organic Chemistry from Rutgers University and conducted three years of additional research as a doctoral candidate in Biochemistry at Rutgers University.